Some products such as hard bitumen, tar pitch and certain resins require such a high feed temperature that economically viable granulation has not been possible. the development of our purpose-designed Rotoform 4G HT (High Temperature) system overcomes this and enables these and other products to be solidified in an efficient and cost effective manner. Based on the same principle as our other 4G models, the Rotoform 4G HT has been designed to enable the granulation of products requiring a feed temperature of as high as 300 °c, and can also be used to process material of widely varying viscosities. 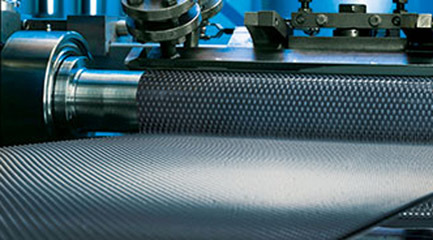 Granulation is carried out on a continuously running steel belt and delivers consistently sized, hemispherical granules without and deformations, tails or strings. Good contact with the steel belt ensures efficient cooling and the smooth surface of the steel belt allows easy maintenance and cleaning.